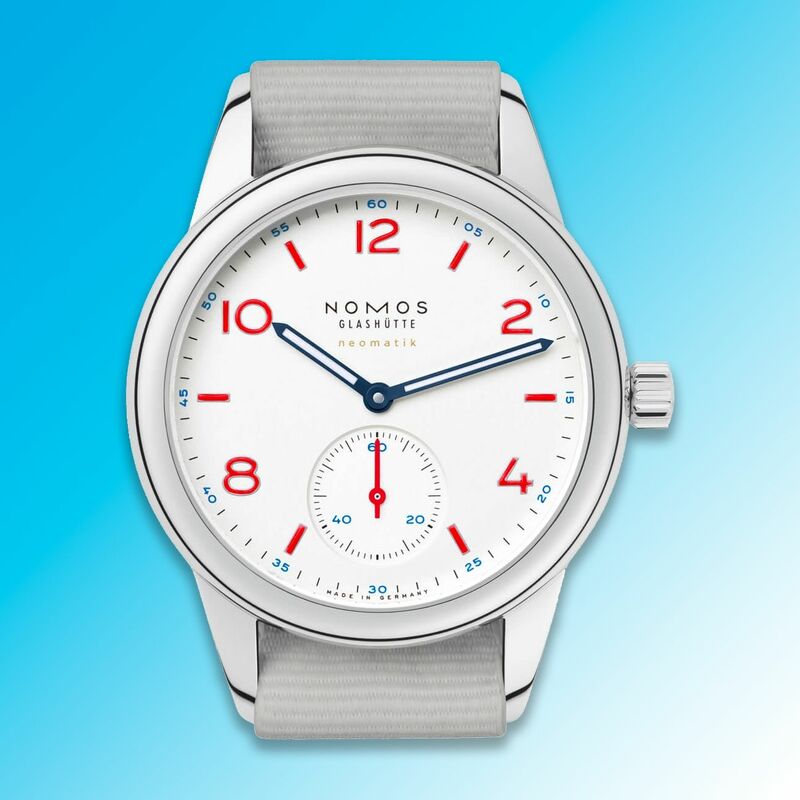 The new Nomos Club Neomatik was introduced at Baselworld 2017. Its stainless steel case measures 37mm across and 9.27mm thick. 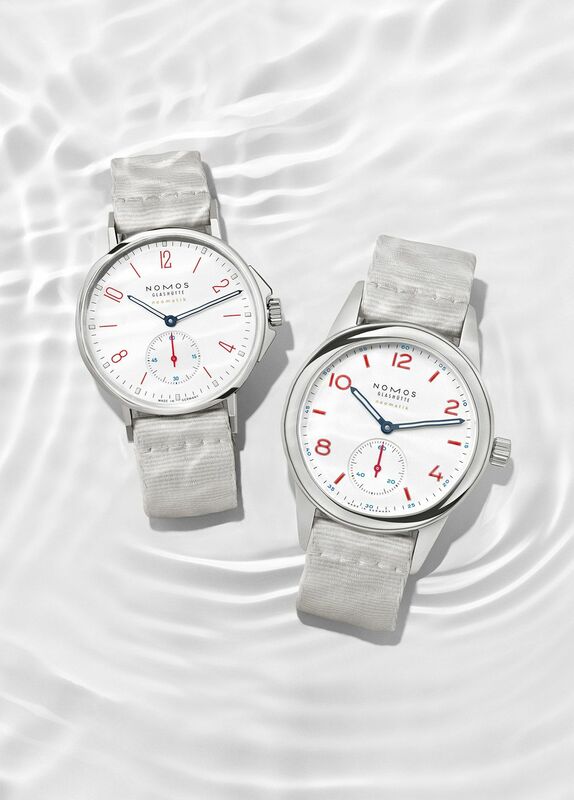 Being water-resistant to 200 meters means it's a great accompaniment for swimming and sport and, with a waterproof fabric strap, it is ready for each and every adventure. The version pictured here was added to the collection in 2018. It features a bright white ('Siren White') dial with red & blue accents. The tempered blue hands that provide ample contrast for optimal legibility. This model is presented on a light grey textile strap with pin buckle.